SHE LIVED A LIFE OF FULFILMENT. SHE REMAINS A HUGE INSPIRATION TO LOTS OF LIVES IN ABIA STATE. Madam Margaret Umunna Edeyi, famously known as ‘Maggi’ due to her positive impact on humanity has passed on to the land of the saints where Angels worship the Sovereignty of God daily. She was a devout Christian and community leader from Umuokogbuo Eluama in Isuikwuato, Abia State. 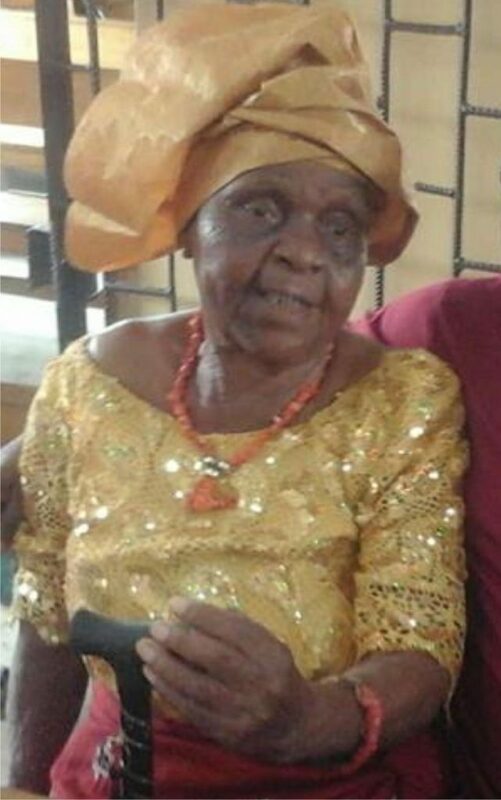 Maggie, as she was fondly called, died on Wednesday morning, March 13, 2019, in Warri, Delta State, aged around 90 years. She is survived by five children, among them Isaac Umunna, an award-winning international journalist and Publisher of News Express titles. Maggie is also survived by several grandchildren and great grandchildren, as well as a host of relatives.